The UIDA I(unique identification authority of India) creating new software that will act as a gateway between banks and the UIDAI Aadhaar portal so banks can straight access to Aadhaar details of all LPG consumers .It is a better convenient way to LPG consumers those who are still not provide Aadhaar details to the banks, in Hyderabad Rangareddy, Anantapur, Chittoor and East Godavari District have be asked to furnish to Aadhaar details to LPG gas agencies the same as banks where they have accounts then the subsidy amount will be directly transferred to these accounts only. UIDAI sonly hade over this Aadhaar data to banks said UIDAI deputy chairman M V S Ramireddy and he said Aadhaar data with banks will save more time and better way to details of eligible subsidy consumers UIDAI in the state just completed the working on Aadhar ceding remote platform which will soon be handed over to banks. Using this platform any authorized person by UIDAI from banks can access the Aadhaar data and attach the numbers to the customers' accounts. 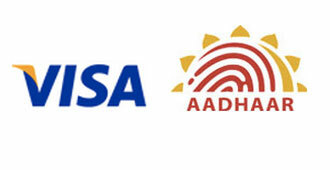 This platform will immediately match details provided by the consumer to Aadhaar authorities and to the banks UIDAI Aadhaar already give the Aadhaar data to IT department to verification of the details in the MeeSeva centers the same Aadhaar data to be shared to the banks so consumers need to fill their bank account details at the enrollment time it is mandatory with this only banks will get consumers Aadhaar otherwise the National Payment Corporation of India (NPCI) will directly send the subsidy to the respective bank.